Victoria born, residing in Queensland, Ruby Spowart is renowned in Australian photography. Being awarded a Double Master of photography of the Australian Institute Professional Photography (AIPP) in 1998, and then awarded a Fellowship of the AIPP in 1999. Ruby was also awarded a Industry Lifetime Achievement Award by the Australian Institute of Professional Photography in 2009. With works in many collection including the National Gallery of Australia,the ACMP Collection and the Queensland Art Gallery. The Winton Shire Council purchased a collection of 18 infrared photographs by Ruby, through the Council acquisition fund in October 2010. Born in Numurkah, Victoria 1928. Wife of the late Mervyn Spowart and Mother of Doug, Peter and Garry. Resident in Brisbane since 1968. Associate Diploma of the Arts (Visual Arts), Brisbane College of Advanced Education ~ 1988. Certificate in Introductory Art and Design, Queensland College of Art ~ 1990. Recipient of a Queensland Government Arts Grant for a mid-career survey exhibition ~ 1992. Awarded Don Fraser Fellowship ~ Queensland University of Technology 2003. Honored -Internationl Womens Day of the Year Australian Institute of Professional Photography 2009. 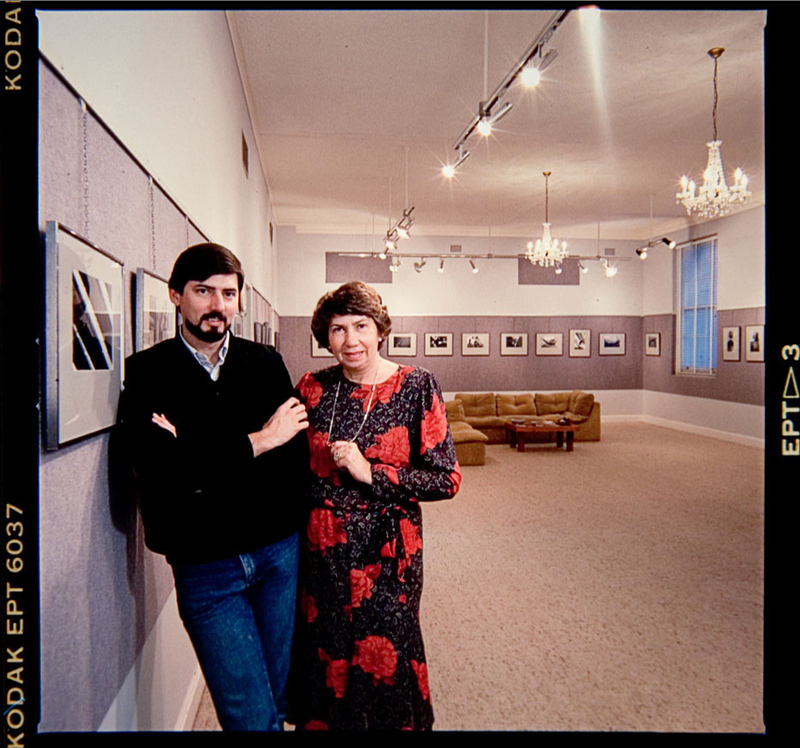 Co-Director of Imagery Gallery from 1980 ~ 1995. Executive Director of the Australian Photographic Society 1983 ~ 1988. Awarded the APR Medal for Service to Photography in 1981. Awarded the S.S.A.P.S. Honour by The Australian Photographic Society, 1982. Awarded the L.A.P.S. Honour by The Australian Photographic Society, 1989. Awarded Associate Status ~ the Australian Institute of Professional Photography in 1991. Awarded Master of Photography ~ the Australian Institute of Professional Photography in 1994. Awarded Honorary Fellowship ~ the Australian Institute of Professional Photography in 1997. Awarded Fellowship ~ the Australian Institute of Professional Photography in 1999. Awarded Industry Lifetime Achievement Award ~ the Australian Institute of Professional Photography in April 2009. 1997 EARTH WORKS ~ Chermside Library Gallery, Brisbane. A DIFFERENT EYE ~ Brisbane City Council Travelling Exhibition. 1992 PATTERNS IN TIME ~ Imagery Gallery, Brisbane. 1989 TERRA FIRMA ~ Shades of Ochre Gallery, Darwin. 1988 GROUND EFFECTS ~ Imagery Gallery, Brisbane + Mackay City Library Gallery. 1987 AUSTRALIAN WIDE-WALLSCAPE ~ Imagery Gallery, Brisbane. ~ Toured by the Queensland Arts Council in 1986. ~ The Centre Gallery, Gold Coast Art Complex, 1987. ~ Brisbane City Library Exhibition Room, 1987. ~ Araluen Art Centre, Alice Springs. 1992 ~ Prospect Gallery, Adelaide. 1993 ~ Imagery Gallery, Brisbane. 1993 ~ The Photographer’s Gallery, Sydney. THROUGH THE LENS OF A CAMERA ~ Myer Exhibition Hall, Brisbane. THE VISION SPLENDID (with Doug Spowart) ~ AMP Foyer Gallery, Brisbane. ~ The Kodak Gallery, Sydney. ~ Island Hall Gallery, Stradbroke Island. ~ AMP Foyer Gallery, Brisbane. ~ Ipswich Civic Art Gallery. ~ 25 Regional Art Galleries toured by the Queensland Arts Council. – 14 Regional Galleries toured by the Queensland Arts Council. DEJA VU – Imagery Gallery, Brisbane. – Queensland Art Gallery, Brisbane. VARIATIONS – Imagery Gallery, Brisbane. AGAINST THE GRAIN – Imagery Gallery, Brisbane. TOURIST IMAGERY – Araluen Art Gallery, Alice Springs. A WEDDING PHOTOGRAPHY EXPOSITION – Imagery Gallery, Brisbane. VARIATIONS 3 – Imagery Gallery, Brisbane. – Araluen Art Centre, Alice Springs. COLLABORATIONS – Imagery Gallery, Brisbane. – The Centre Gallery, Gold Coast. SICHUAN AND WORLD FRIENDLY CITIES PHOTOGRAPHY EXHIBITION – Chengdu, China. A SHOT FROM DOWN UNDER – Osaka, Tokyo & Nagoya; Japan. VARIATIONS IV – Imagery Gallery, Brisbane. WORLD DESIGN EXPO ’89 – PHOTOGRAPHY EXHIBITION – Nagoya, Japan. – Kodak Gallery, Tokyo Japan. PICTURES FROM JAPAN – Imagery Gallery, Brisbane. THE DOCUMENTS OF TEN YEARS – Imagery Gallery, Brisbane. ART DOCK – AUSTRALIAN ART EXHIBITION – Noumea, New Caledonia. FROM OUT OF THE DARK – Imagery Gallery, Brisbane. JAPANESE EXCHANGE – Kodak Gallery, Sydney. KODAK PHR 120 – Imagery Gallery, Brisbane. CELEBRATING 150 YEARS OF PHOTOGRAPHY – Imagery Gallery, Brisbane. STATE OF THE ART – QUEENSLAND PHOTOGRAPHY – Brisbane Warara Festival. ~ Manning Regional Gallery Taree. ~ The Centre Gallery, Gold Coast. ~ Perc Tucker Regional Gallery Townsville. ~ Gladstone Regional Art Gallery and Museum. ~ Warwick Regional Art Gallery. ~ Brisbane City Hall Art Gallery & Museum. THE IMAGE CAPTURED – Brisbane Warara Festival. UNDER THE SOUTHERN SUN – The Loading Bay, MOCA, Brisbane. SOME QUEENSLAND HELIOGRAPHERS – Imagery Gallery. THE FAMILY – KODAK EXHIBITION – Imagery Gallery. WALK ON THE WILD SIDE – Parlimentary Annexe, Brisbane. ~ Myer Centre Exhibition Gallery Brisbane. COLOUR MY WORLD – Parlimentary Annexe, Brisbane. HOW DOES YOUR GARDEN GROW? – Brisbane City Hall Art Gallery and Museum. DAWN TO DUSK – Toowoomba Regional Art Gallery. LOGAN CITY: THE ESSENCE EXPOSED – Logan City Art Gallery. DECADENCE – Dubbo Regional Gallery. THE COLLECTION 1 – Lighthouse Gallery, Melbourne.